The 30 points, 10 rebounds and 10 assists effort from LeBron James gave him his ninth postseason triple double, trailing only Rajon Rondo in that category over the last decade, although with his game winner just before the buzzer he did become the first player to grab the TD and hit a game winner in the same playoff game. Of all the players on this list, Rajon Rondo is the only player to pull off a triple double more than once in the same series. Of the 39 triple double achieved since and including the 2003 NBA Playoffs, 10 have come in a losing effort. If you need more stats in your life, than take this one: a player with a triple double has a 74.4% of winning a postseason game. The Boston Celtics got swept by the New Jersey Nets in the Eastern Conference semifinals, losing game 2 of the series 104-95 despite Paul Pierce pulling off a 32 points, 10 rebounds and 11 assists triple double. 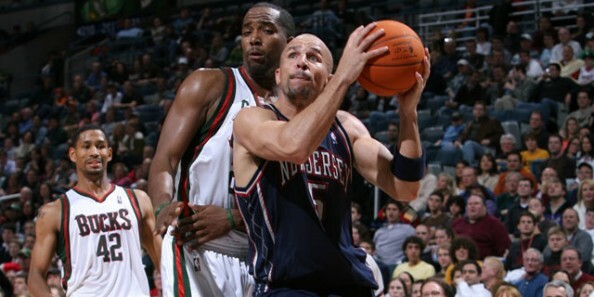 Jason Kidd, who’ll show up later on the list, missed out on a triple double by 2 assists. 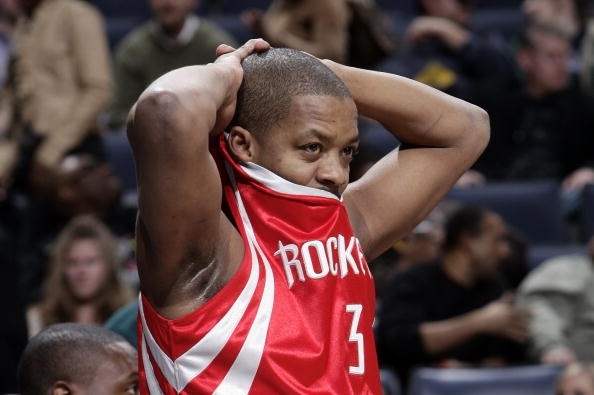 The Houston Rockets didn’t get very far in the 2004 NBA Playoffs, losing in the first round to the Los Angeles Lakers 4-1. In Game 2 of the series, won by the Lakers 98-84, Francis pulled off an 18 points, 10 rebounds and 12 assists triple double, but 36 points from Kobe Bryant were too much for the Rockets to overcome. Webber finished with 19 points, 13 rebounds and assists (while shooting a horrible 6-for-19 from the field) as the Sacramento Kings beat the Dallas Mavericks 83-79 in game 2 of their first round series. The Kings ended up winning 4-1. Kevin Garnett was winning his playoff series ever when the Timberwolves were playing Denver in the first round, and took a 2-0 lead, winning 95-81, scoring 20 points, adding 22 rebounds and 10 assists. Carmelo Anthony scored only 15 points on the other end, while non other than Voshon Lenard was the one taking most of the shots for the Nuggets. 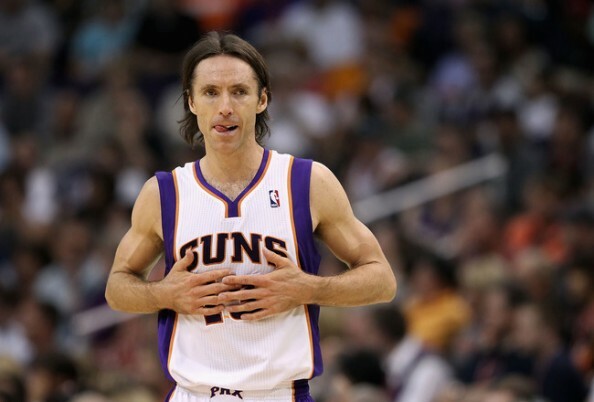 Playing against his former team in the Western Conference Semifinals, Steve Nash put the Suns up 3-2 with a 114-108 win, leading his team with an amazing performance, scoring 34 points, adding 13 rebounds and 12 assists. Amare Stoudemire finished with 33 points, while Dirk Nowitzki scored 34 for Dallas. The Suns won the series 4-2. It was one of those nights when Russell Westbrook got the feeling he wasn’t going to outscore Durant, and settled for only 12 field goal attempts. He finished with only 14 points, but added 10 rebounds and 14 assists as the Oklahoma City Thunder clinched a game 7 against the Memphis Grizzlies in a 105-90 win. Kevin Durant led the way with 39 points. 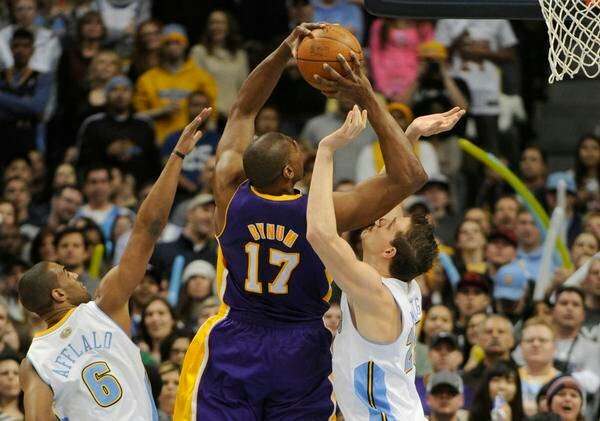 Bynum had an excellent 2011-2012 season, and got off to a flying start in the postseason as the Lakers took a 1-0 lead over the Nuggets (eventually winning the series in 7 games), by scoring only 10 points (Kobe Bryant led the way with 31), adding 13 rebounds and 10 blocks in a 103-88 win. 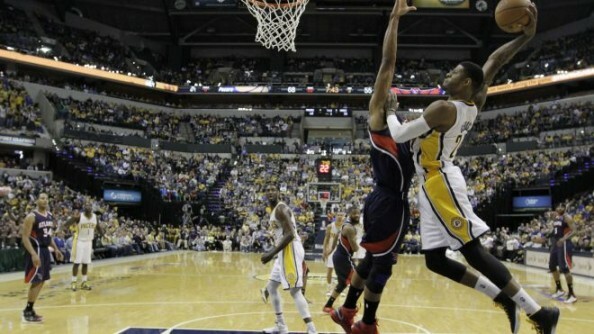 The Pacers opened the playoffs with an impressive 107-90 win over the Atlanta Hawks, eventually winning the first round series 1-0. Paul George kicked things off by leading his team in scoring (23 points), rebounding (11) and assists (12). The Los Angeles Lakers were no match for the San Antonio Spurs during the first round series, as Gasol’s triple double of 11 points, 13 rebounds and 10 assists couldn’t prevent the Spurs from winning at the Staples Center 120-89 and take a 3-0 lead. 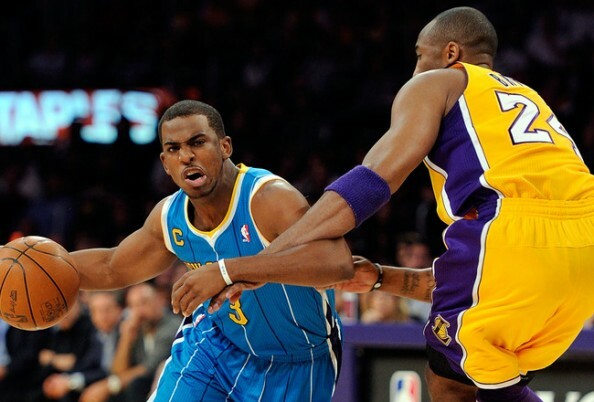 The first CP3 triple double came as the Hornets clinched their 2008 series against the Dallas Mavericks in game 5, winning 99-94, as Paul scored 24 points, adding 11 rebounds and 15 assists, aided by David West with 25 points. Almost three years later, in a series against the Lakers, Paul tied their series at 2-2 (before losing in 6) with another huge night, scoring 27 points, adding 13 rebounds and 15 assists. 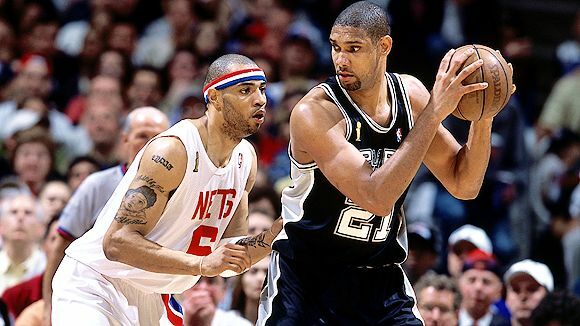 Tim Duncan’s first two triple doubles came in the 2003 NBA playoffs. 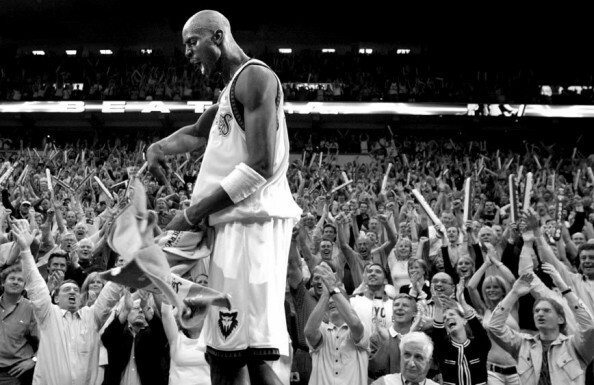 The first came on May 1, 2003, in a first round series against the Phoenix Suns. The Spurs won game 6, clinching the series, as Tim Duncan scored “only 15 points, adding 20 rebounds and 10 assists. In the Finals, beating the New Jersey Nets Duncan closed the series to win his second NBA title ring on another game 6, finishing with 21 points, 20 rebounds, 10 assists and 8 blocks in a 88-77 win. 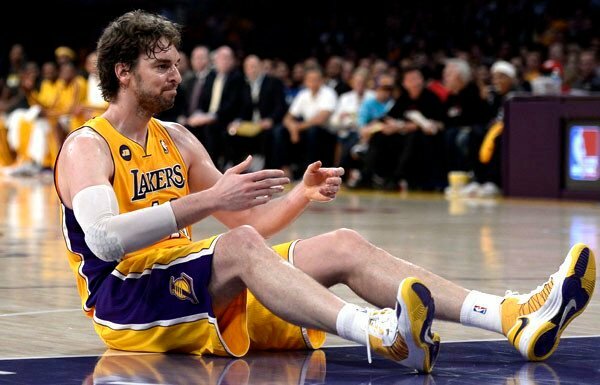 His third came in the 2008 Western finals, in another final game of a series, losing to the Lakers in 5 despite his 19 points, 15 rebounds and 10 assists. 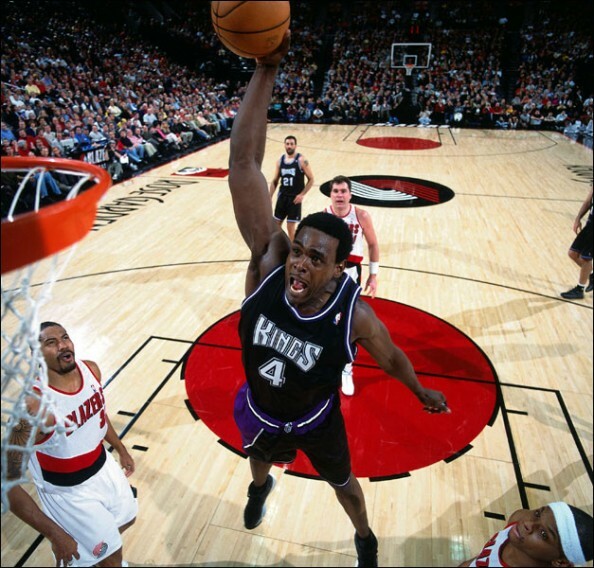 May 1, 2003 – 22 points, 11 rebounds and 11 assists in a 113-101 win over the Milwaukee Bucks in Game 6 of the first round, clinching the series. May 11, 2004 – 22 points, 10 rebounds and 11 assists in game 4 of the conference semifinals against Detroit, winning 94-79 but losing the series in 7 games. April 28, 2005 – 16 points, 16 rebounds and 13 assists in a 108-105 loss to the Miami Heat in game 3 of the first round, with the Heat sweeping the series. May 14, 2006 – 17 points, 13 rebounds and 12 assists in a 102-92 loss to the Miami Heat in game 4 of the conference semifinals, eventually losing 4-1. April 27, 2007 – 16 points, 16 rebounds and 19 assists in a 102-89 win over the Toronto Raptors in game 3 of their first round series, which the Nets won 4-2. May 12, 2007 – 23 points, 13 rebounds and 14 assists in a 96-85 win over the Cleveland Cavaliers in the conference semifinals, eventually losing in six games. April 22, 2006 – 32 points, 11 rebounds and 11 assists in a 97-86 win over the Wizards in game 1 of their first round series, Cavs eventually winning 4-2. May 13, 2006 – 21 points, 10 rebounds and 10 assists in a 86-77 win against Detroit in game 3 of the conference semifinals, eventually losing in 7 games. May 2, 2008 – 27 points, 13 rebounds and 13 assists in a 105-88 win over the Wizards in game 6 of their first round series, getting the ticket to the next round. May 28, 2009 – 37 points, 14 rebounds and 12 assists in a 112-102 win over the Orlando Magic in game 5 of the conference finals, eventually losing in six games. April 25, 2010 – 37 points, 12 rebounds and 11 assists in a 121-98 win in game 4 of their first round series against the Chicago Bulls, winning in 5. 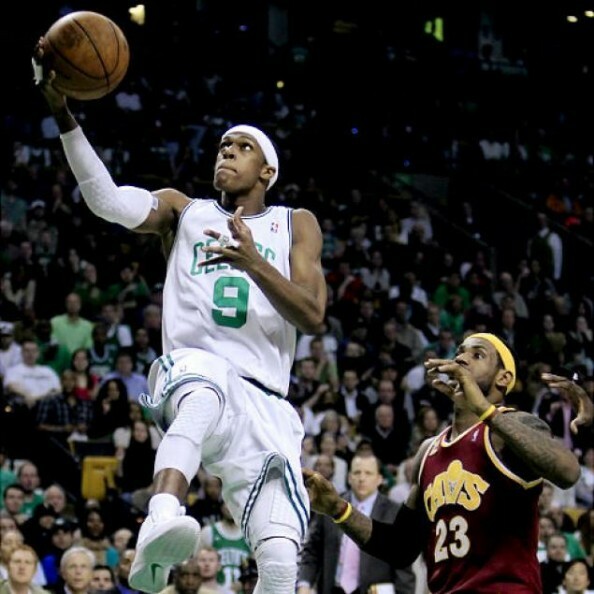 May 13, 2010 – 27 points, 19 rebounds, 10 assists and 9 turnovers in a 94-85 loss to the Celtics in game 6 of the conference semifinals, which was also his last game for the Cavs. June 9, 2011 – 17 points, 10 rebounds and 10 assists in a 112-103 loss to Dallas in game 5 of the finals, losing the next one and the series as well. June 21, 2012 – 26 points, 11 rebounds and 13 assists in a 121-106 win against the Thunder in the finals, winning the NBA title in 5 games. 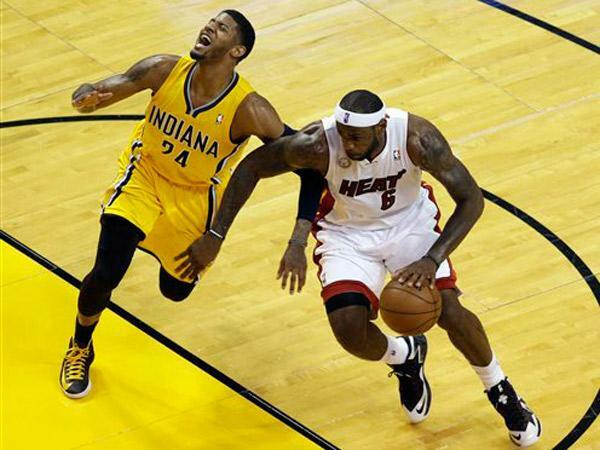 May 22, 2013 – 30 points, 10 rebounds and 10 assists in a 103-102 win over the Indiana Pacers, taking a 1-0 lead in the conference finals. April 20, 2009 – 19 points, 12 rebounds and 16 assists in a 118-115 win against the Bulls in game 2 of their first round series, eventually winning in 7 games. April 26, 2009 – 25 points, 11 rebounds and 11 assists in a 121-118 loss to the Bulls in game 4 of the same series. May 6, 2009 – 15 points, 11 rebounds and 18 assists in a 112-94 win against the Magic in game 2 of the conference finals, which the Celtics lost in 7. 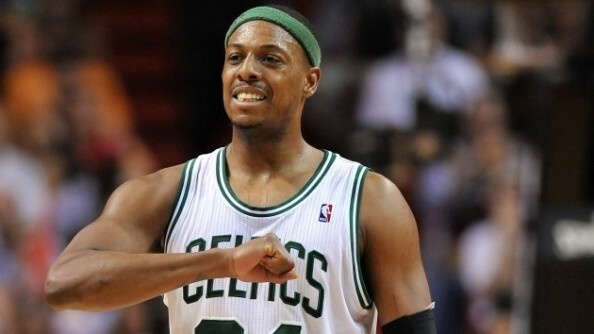 May 9, 2010 – 29 points, 18 rebounds and 13 assists in a 97-87 win against the Cavs in game 4 of the conference semifinals, which the Celtics won in 6. June 6, 2010 – 19 points, 12 rebounds and 10 assists in a 103-94 win against the Lakers in game 2 of the NBA finals, which the Celtics lost in 7. April 22, 2011 – 15 points, 11 rebounds and 20 assists in a 113-96 win over the Knicks in game 3 of the first round series, which Boston swept. May 4, 2012 – 17 points, 14 rebounds and 12 assists in a 90-84 win over the Hawks in game 3 of the first round series, which the Celtics won in 6. May 12, 2012 – 13 points, 12 rebounds and 17 assists in a 92-91 win over the 76ers in game 1 of the conference semifinals, winning the series in 7. May 26, 2012 – 18 points, 10 rebounds and 10 assists in a 85-75 win over the 76ers to take game 7. June 9, 2012 – 22 points, 10 rebounds and 14 assists in a 101-88 loss to the Heat in game 7 of the conference finals.